New release! 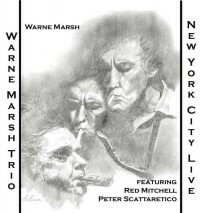 Peter with Red Mitchell and Warne Marsh, two hour concert, recorded live in New York in 1980. Click here to purchase this double CD set. 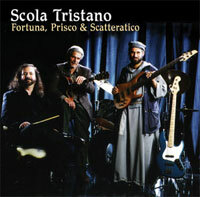 You can also purchase the Peter Prisco, Peter Scattaretico Quartet DVD and CD on this website. Peter Scattaretico has been playing drums professionally for 35 years, and has a long list of credentials in the jazz scene, performing with notable jazz artists such as, Warne Marsh, Eddie Gomez, Harvie Swartz, Michael Moore, Red Mitchell, Sal Mosca, Connie Crothers, Gerri Mulligan, John Bunch, Peter Prisco, Earl Sauls, and Lennie Popkin. 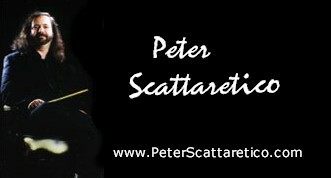 In 1981 Peter Scattaretico performed at The Kool Jazz Festival with Warne Marsh, Lennie Popkin and Michael Moore. Peter has performed at many well known venues including, but not limited to; Lincoln Center, Carnegie Hall, Village Vanguard NYC, Fat Tuesdays NYC, Town Hall NYC, Lou Lou Whites in Boston, The Ritz, etc. He has played on records such as; Jazz Records' "Lenny Tristano Memorial Concert Live At Town Hall"; Lenny Popkin, "Falling Free"; and Peter Prisco's: "It's About Time". Peter is available for drum lessons at the Muzic Store.